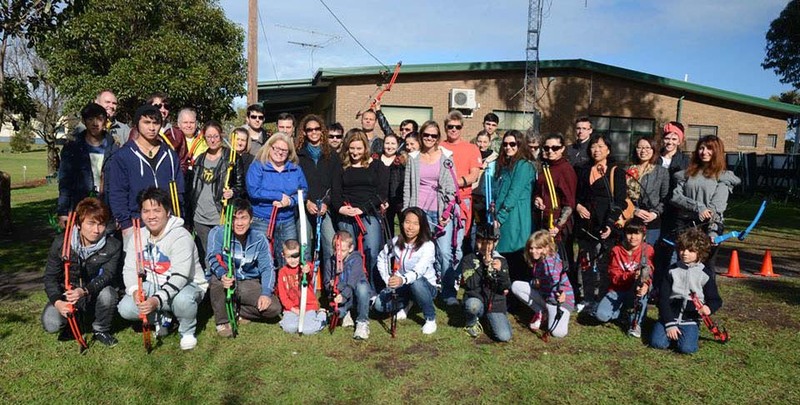 Established in 1946, Moorabbin Archery Club (originally the Victorian Archery Club) is the oldest existing archery club in Victoria and has been located at the present site since 1953. The then Mayor of Moorabbin Cr. Shipston officially opened the archery field on the 30th of March 1957. 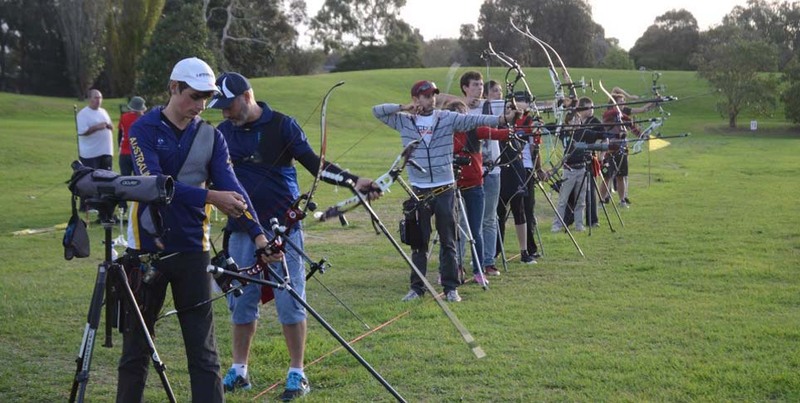 To explore the history of the Moorabbin Archery Club one must explore the old newspaper clippings, old minute books and weekly newsletters which were returned to the club, some 55 years after they were published club and try to piece together the chain of events. Unfortunately much the early history of the club has been lost over the years. Newspaper clippings from the Sun on March 13th 1947 depicted Mr. William Bowden making bows and arrows. At that time he was the president of the Murrumbeena Archery Club. Another photograph shows Mrs Bowden shooting at a flying target in Murrumbeena Park. 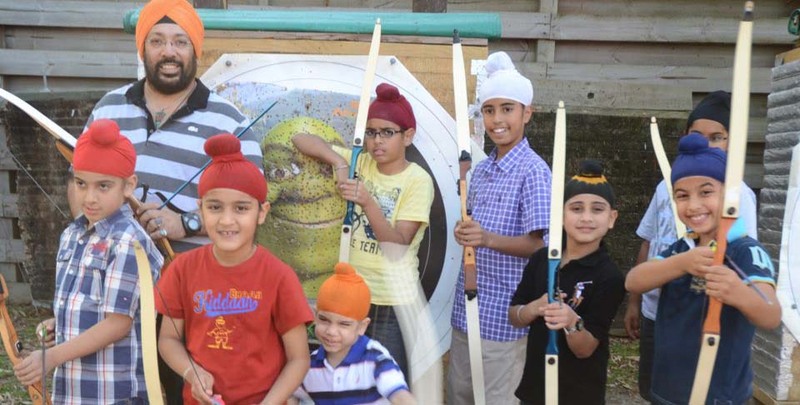 The article says that Mr and Mrs Bowden formed the Mureembena Archery Club. From information available it would appear that a small number of archers met regularly at a property in East Boundary Road, East Bentleigh, about 1/4 mile from North Road where they shot. As interested members of the public passed they asked how they could join in and their numbers grew into a club. Archery in those days was very much simpler with Mr William Bosden making bows and arrows for new archers who joined the club. 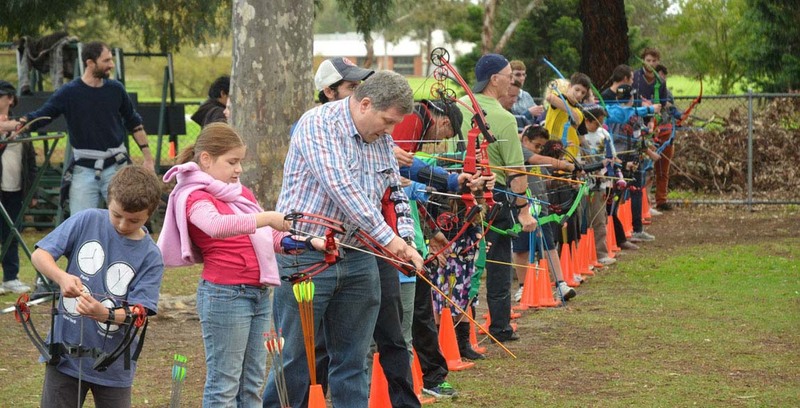 The Moorabbin Archery Club was originally known as the Mureembena Archery Club and within a very short period the name was to change to the Victorian Archery Club and it retained that name until sometime during 1961/62 it was given its present name Moorabbin Archery Club (MAC). MAC is the oldest, still-existing club in the state of Victoria. The inaugural meeting of the Victorian Archery Club took place on the 4th December 1946. The minutes of that meeting apparently showed the inaugural members of the club as Messrs. Bowden, Hanger, Harris, Jobson, Gin, Johnson, Lamb, Fowler, Bartlett, and the ladies, Bowden, Thompson, and Johnson. The club's location in 1948 was at in East Boundary Road, East Bentleigh, about 1/4 mile from North Road, the ground being recognised by the sign "E.G. Willetts, Electrical Contractor" at the gate. The VAC grounds were quite accessible by public transport of the time as from Ormond Railway Station a bus service ran along North Road to Oakleigh, this bus stopped at East Boundary Road. The Victorian Archery Club Bulletin of the 2nd October 1948 had the following article: "CHELTENHAM? What is it all about? Come to the monthly meeting at Bill's place, and hear all the latest about Cheltenham." "To put it bluntly, this is the last issue of Archery Bulletin. With this issue it ceases publication as I find that, in view of other duties undertaken, it is very difficult to compile and produce this bulletin so that it appears on time. This fact irks me to the extent that I have made my decision as above." It would appear that in 1948 the club was thinking of moving to Turner Road. Highett. The 30th April 1949 edition of Victorian Archery Club Bulletin stated that "Last Saturday most clubs shot despite adverse weather conditions." "The A.A. has not yet set any rules for fixture shooting, but as a progressive archery society can form our own - this state has always led in the archery field. Southern Cross def. Preston, Victorian def Eastern, Box Hill & Burwood to meet later"
For those of you that are interested in the results it was reported later that Box Hill defeated Burwood. We are able to deduce from the Archery Bulletin that the average attendance at the club on a Saturday afternoons during the year of 1951 was 30 to 35 archers and that only on two Saturdays during 1951 was the weather such that it was impossible to shoot at all and even on those two days the attendance was 28 for one day and 22 for the other. “Archers paid for the privilege of shooting at the targets in 1952 the amount of: seniors 2/- juniors 1/- and 3d extra for afternoon tea.”. “There was a grand opening of the club's new field on the 30th May 1957 with over 100 guests attending the official opening of the new archery field in Chesterville Road, Highett. The Mayor and Mayoress of Moorabbin Cr. and Mrs. Shipston, were present and the mayor shot the first arrow, which was then presented to Mrs. Shipston. The Victorian Archery Club originally had clubrooms at the rear of the Chesterville Road Field. In 1976 the Moorabbin City Council had completed construction of the Combined Clubrooms on the Turner Road Reserve. The complex was constructed for the Moorabbin Archery Club, the Moorabbin and District Radio Club, the Moorabbin Racing Pigeon Club and the Southern Fly Fishers. The clubrooms and main hall was officially opened on the 1st August 1976. The maintenance of the combined facilities was to be the responsibility of a joint committee of management known as the "Combined Clubs Committee of Management".